Property 19: Large villa right on the slopes with private sauna and relaxation area. On 150m² rest and relax in the middle of the region Schladming / Dachstein. Property 26: On 150m² rest and relax in the middle of the region Schladming / Dachstein. 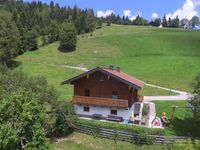 Property 29: Stylishly renovated country house with garden, right in the ski, golf and hiking. Property 41: Ski & Summer, luxury furnished cottage near lifts.